It is accompanied by Stompas Curve pull out desk and cube storage unit, offering a practical storage solution as well as a place for them to work and create. The cube unit is the ideal spot for keeping toys and games. 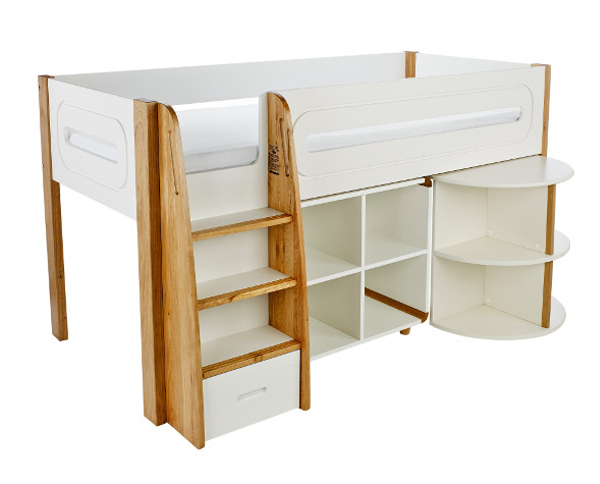 Includes Curve Midsleeper Bed Frame with Pull Out Desk and open Cube Unit.